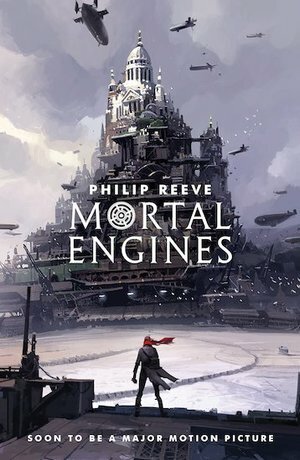 A film called Mortal Engines is being released later this year. The title probably means very little to most people, but the film is based on a book with the same name by Philip Reeve. It is a novel of staggering imagination, ideas and scale. Reeve previously thought that it was probably unfilmable, but Peter Jackson, with his spectacular vision (and spectacular budget) is going to make it a reality. And Mortal Engines is a children’s book. When I first started teaching English in Prep Schools I discovered that we were in the middle of a ‘Golden Age’ of children’s literature. At that time J.K. Rowling was half way through the Harry Potter series; Malorie Blackman’s Noughts and Crosses was written; Lemony Snicket was just starting the ‘Series of Unfortunate Events’; Anthony Horowitz was thrilling supposedly reluctant boy readers with his Alex Rider books; and then there was Mortal Engines. This world of incredible children’s literature (aside from Dahl and Blyton) was new to me and I absolutely loved it. I could name many more brilliant children’s books from that era and many that have been written since. The best thing of all, and the greatest shock of all, was that these books were genuinely worth reading as an adult. I still read children’s books as much as I can today. It is particularly rewarding as a parent to be able to talk about books with our children properly. Reading the same stuff will certainly lead to good conversations with them, giving us shared points of reference as they grow up. And often children’s books help us talk through important issues with children from a different angle. Of course it will encourage them to read; but just as importantly, it will encourage us to keep reading as well.